The wolves' trail mountain running race dedicated to sports clubs and well-trained tourists, with passage on the ski slopes after hard climb and well-deserved long descent in Limone. Exhibition of collecting, crafts and antiques art. Presentation and parade of the aspiring miss universe in Town Hall Square at 9 p.m. Projection of new images of local flora and fauna by Giacomo Bellone. Teatro "Alla Confraternita" at 9 p.m.
Concert by Alessandro Fantino and Anna Dari. From 8 pm in Town Hall Square show with street artist. From 10 pm the show "A Spasso Nella Dance 90/2000" with the Dj Resident Guest Elena Tanz and the animation of Mischa Lecter and Kalelith Demonia: dance and fun for all! DiscoInferno offers disco dance songs from the 70s to the present day, its objective: to reach the public of each generation with its energy, its smile and above all a lot of pleasure. His repertoire ranges from Funky to the most energetic disco dance as time goes by. 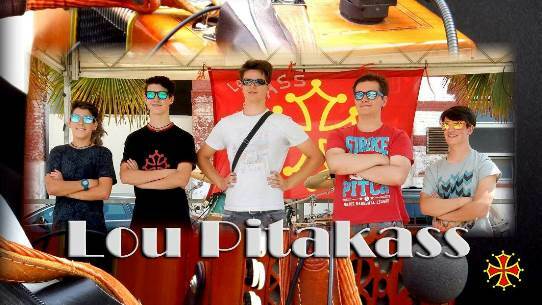 From 6.30 p.m. in Town Hall Square and Via Roma great entertainment of street artists in the name of fun. From 8 p.m. shows of circus arts: juggling, balance, magic and fire. Then DJ set with the best dance music. 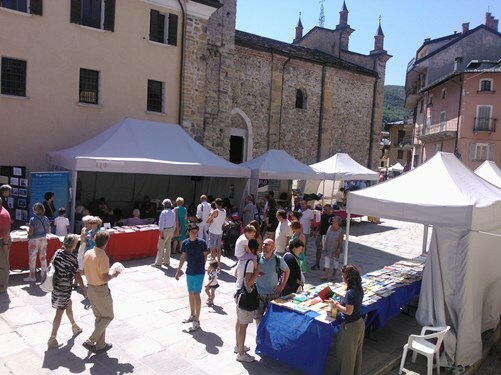 Great Mid-August Concert in Prati di San Lorenzo in Limonetto starting at 13:00. 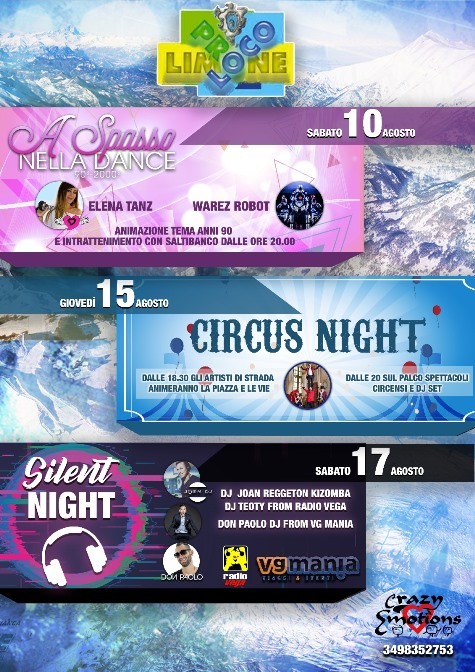 From 9 p.m. you can dance in Town Hall Square with DJ Teoty from Radio Vega, DJ Don Paolo from VG MANIA and DJ Joan. Distribution of special headphones connected to the console that will allow you to learn various genres of music: Commercial Dance, Tecno, House, Revival, Reggeton, Kizomba and Hip Hop! 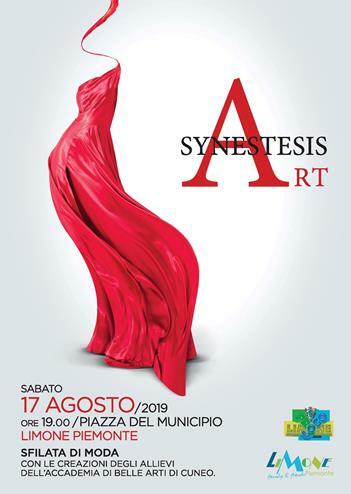 Parade organized by the Academy of Fine Arts of Cuneo in Town hall square from 19 to 21. 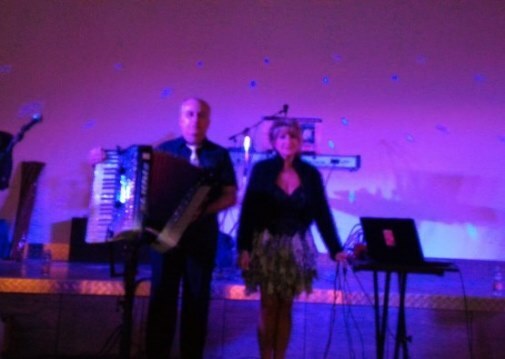 Singing, dancing and cabaret performance. 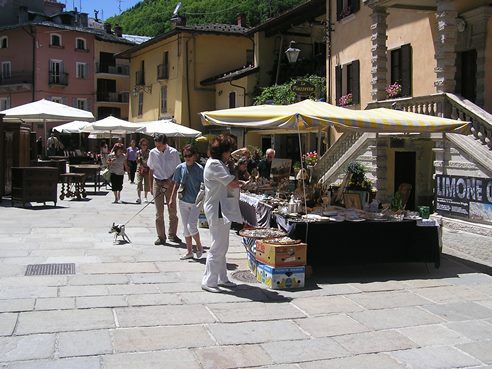 Stalls of Limone traders along Via Roma from 10.00 a.m. Amateur singing competition with qualified jury. 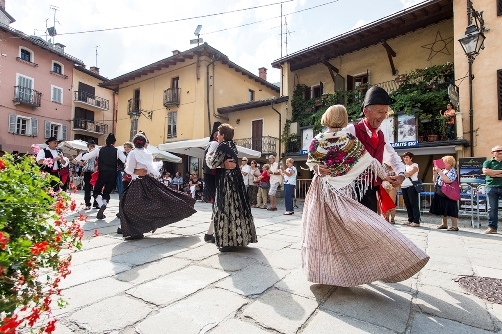 Traditional costume festival that evokes, between history and popular legend, the expulsion of the Saracens from the valley Vermenagna. It takes place every year on the last Sunday of August. The folkloric group organizes the procession that, from the church of San Secondo reaches Town Hall Square. Concert of the tribute band with the greatest hits of Queen.